Siskiyou is home to six designated wild and scenic rivers, as well as hundreds of lakes, creeks and streams. Such rugged beauty makes for some pretty epic swimming spots! Here are a few of our favorites. This spot is scenic river swimming at its best, complete with a rope swing. Clear and cold it’s generally busiest between 2-4pm once the water has had a chance to warm up. Located just 11 miles west of McCloud on Highway 89, keep your eyes peeled for signs Cattle Camp Campground. Easily accessible with slow-moving crystal green water, a restroom and a wide sandy beach, this swimming hole has long-been a local family favorite. To get there, head 13 miles northwest of Ft. Jones along Scott River Road and look for signs for Jones Beach. Who doesn’t love swimming near a waterfall? 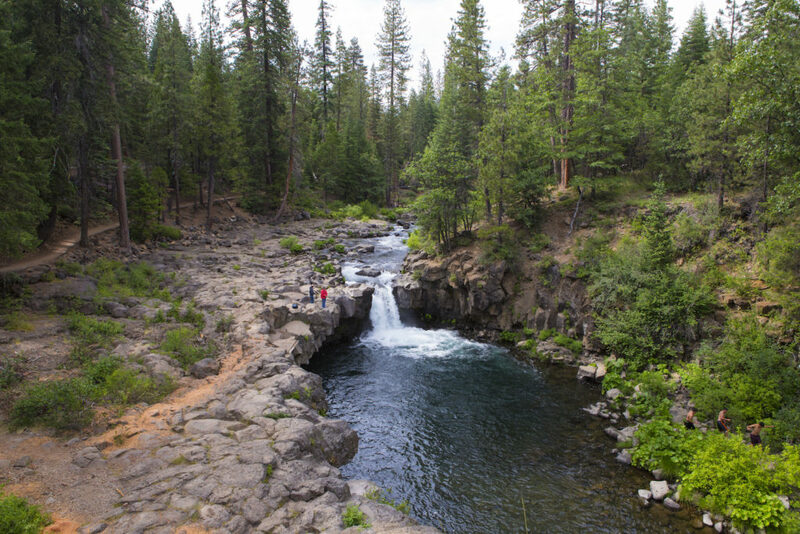 Epic swimming with easy access and facilities can be found at the base of each of McCloud’s three scenic waterfalls just off the McCloud River Loop. Middle and Lower Falls are local favorites. Indian Creek near Happy Camp may be known for its whitewater, but it also makes for some pretty epic swimming holes that have even been described as “Jacuzzi-like.” The “Eddy” is a local favorite found about three miles up Indian Creek Road. 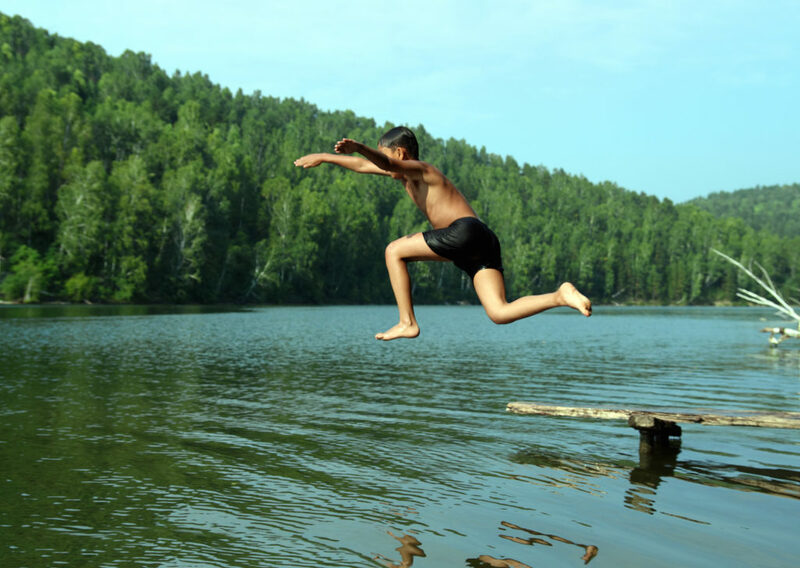 If you want a cool place to beat the heat, head to Dillon Creek Campground where you’ll find a superb natural and shaded swimming hole located just off the campground along Highway 96. There’s remote solitude, and then there’s Matthews Creek Swimming hole. Baptize yourself in the cool emerald water of the Salmon River. To get there, head to the Matthews Creek Campground about 37 miles from Callahan along the Callahan-Cecilville Road. Just five miles north of Dunsmuir, the Cantara loop is a local favorite swimming spot on the Sacramento River with easy access and a small beach. Finding it is also a breeze. From Cantara Road, go 1 mile down to the river, turn right and park, then walk upstream 1/8 mile until you reach the swimming hole. Who says great swimming holes have to be remote? From Dunsmuir City Park & Botanical Gardens, follow the trail upstream of the restrooms, continuing downhill and to the right for ¼ miles to some large rocks. From there head downhill to find several shaded swimming holes. Added bonus: the park facilities are still close by! 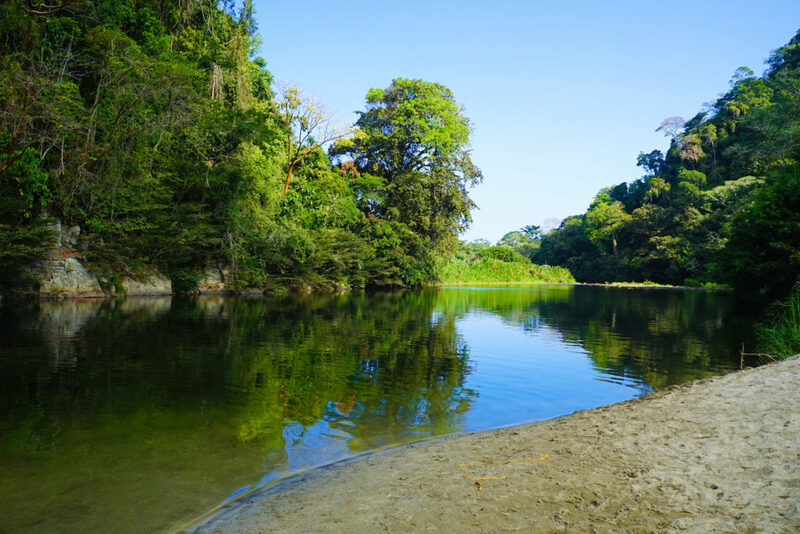 Also referred to as the Smiling Buddha, this naturally formed swimming hole also doubles as a popular camping and fishing spot. Access is off of W. A. Barr Road past Box Canyon Dam with a steep climb down to the river. From crystal clear glacial waters to emerald pools, California’s north is where epic swimming is at! Come take a dip and see Siskiyou’s unspoiled nature for yourself.